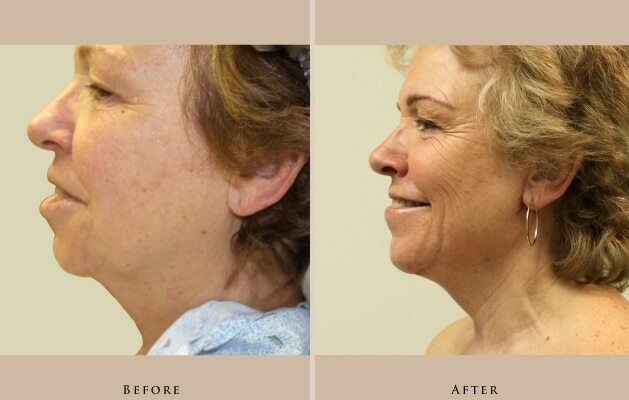 Right Side: 60 year old female with chin implant and neck lift. 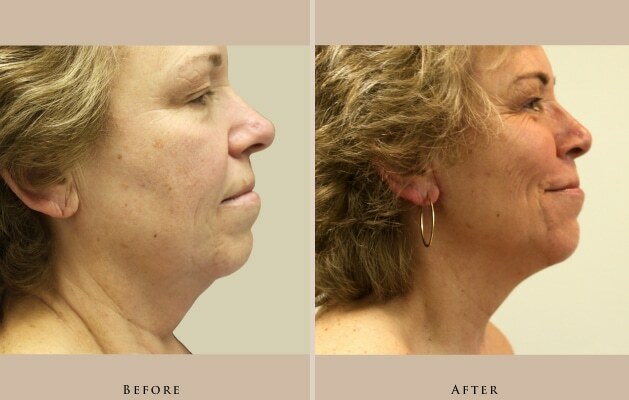 Left Side: 60 year old female with chin implant and neck lift. Front: 60 year old female with chin implant and neck lift. 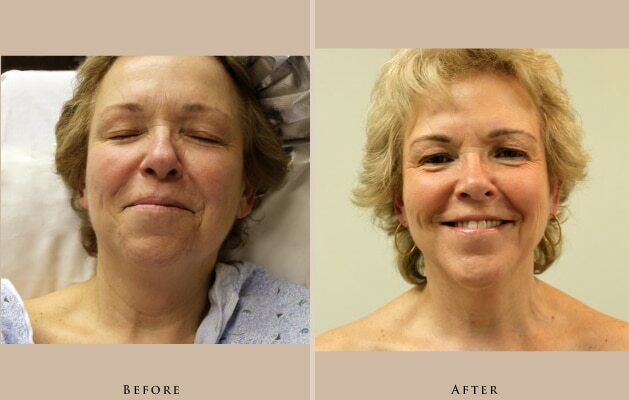 60 year old female with chin implant and neck lift.